The other day in one of my kids yoga classes I was teaching a yoga exercise similar to a Martial Arts punch. For this exercise you hold your body in place and then punch each arm with a powerful “HAAA” breath. Joining in, the daycare teacher joked that this is the only time kids will get to do a punch move at school! The teacher was joking, but there was more than a grain of truth to it. Many schools and homes have adopted a Zero Tolerance policy to quell violence and level the playing field between boys and girls. But have we gone too far? Have we developed a negative attitude toward boy culture? After discovering our Yoga Man – Yoga for Boys product, marketing expert Tia Dobi forwarded me a TED Talk that examines boy culture and the growing problems boys are facing in school. These are disturbing numbers. One solution that may help is to ease up on Zero Tolerance toward the kinds of play that boys like. Of course that doesn’t mean allowing bullying or violence, but it does mean letting boys be boys. Do You Understand Boy Culture? 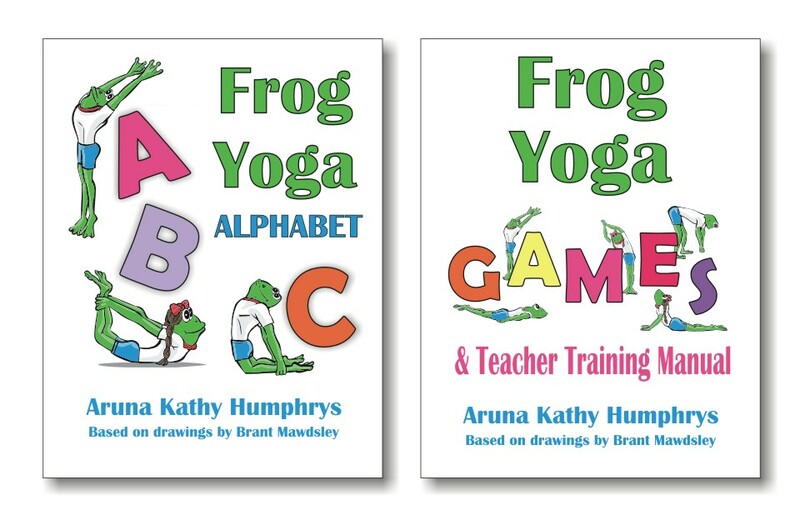 Yoga for Boys – give them a challenge! Consider what it means to be proactive with boys. If you’ve never had brothers, sons, or taught boys, you may not know what typical play is like for boys. If two boys are wrestling on the ground, it doesn’t mean they are violent prone or need to see a psychologist. It means that many boys like to wrestle. If a teacher tells them they are wrong or “NOT OKAY” for wrestling at recess, they are insulting boy culture, perhaps without realizing it. Schools support the way girls play and punish the way boys play. Similarly, if we don’t acknowledge the female dominated culture of yoga, we may be alienating boys without even realizing it. Boys may walk away thinking what they like is wrong. They may walk away thinking yoga is for girls. promote Father/Son yoga classes or retreats. What do you do in your classes to encourage boys? The Inclusive Yoga Weekend Certificate includes tools that help boys love yoga. You’ll also get lots of information on Yoga for Children with Special Needs. Get more information here. Thanks for the comments everyone. Feel free to share your opinion. Tia – its amazing how much influence Michael Jackson still has on kids today! This is such an important post . . . I’m delighted the TED video provided a source of inspiration for you to share your wisdome and teaching. More proof that Yoga Man is so needed–and welcomed–in today’s world of fast-paced transformation. P.S. I luv Michael Jackson’s heartfelt version of the “Martial arts HAAA punch” shown here at the very end of this terrific music video http://bit.ly/7YZhC7. Again, thanks for the share, appreciate you! Stopping by from the SITS roll call! I’m a high school teacher and your post really got me thinking about how boys are treated. Thanks for sharing! Wow – of 80 children, only one boy! I get what you are saying about the guided meditation. Sometimes the boys will ask if they can play video games in their relaxation garden. It’s helped me to understand that to try to redirect them all the time may actually be insulting and alienating them. Thanks for telling what its like for your 4 year old son, he sounds like the four year olds that I teach yoga too. a big part of this post is to just let the boy perspective be represented. I learned to ease up a bit because of it. One mom of four boys told me she showed her sons the YouTube video of Yoga Man. Just seeing images of boys doing yoga will help them think that yoga is for them too. Thanks for this post, article and resources. I am interested in this topic, and will explore this more within my own teaching and yoga studio. I tend to agree with the no tolerance policy when it comes to physical violence- even play violence- in schools from boys or girls, but there must be another outlet! Such as increased physical activity. Yoga is an excellent option! Thanks for your comment Heather. I understand about the no tolerance in schools, it is hard to draw the line so I understand drawing it at Zero. Things can go quickly from wrestling to someone getting angry and losing their temper. I agree that yoga is a great option to give kids a physical outlet. Glad to see your kids yoga in Kentucky. I’m the mother of 6 year old twin boys and I was a middle school teacher before I had children. Boy culture is definitely something I’ve been confronted with. As a woman I find myself instictively trying to quell their wrestling and ‘boyness’. We encourage a lot of artwork in our house and, unlike most schools, I don’t censor their violent themes in their work. I’ve been trying to keep my mouth shut more often and let them get wild in the house, just not on the couch. Luckily we’ve been able to get the boys into 4-H Archery and Shooting Sports activities which they love! I’m happy with it because these are led by educated, caring male instructors who are fantastic role models as what a responsible man should be. I’ve done yoga for a few years and it has helped me emotionally calm down and really take inventory of the world around me. I think yoga would be wonderful for my boys but honestly, I don’t know how to approach them with it. Maybe I’ll get lucky and win this giveaway!